Nestled on the roof of Kelham Island’s new Krynkl development – a revolutionary new space made entirely from upcycled shipping containers – INC Sheffield's drink philosophy is not founded just on liquor but rather on the service and experience via the appreciation of all the senses, Sight, Sound, Touch, Taste and Smell. 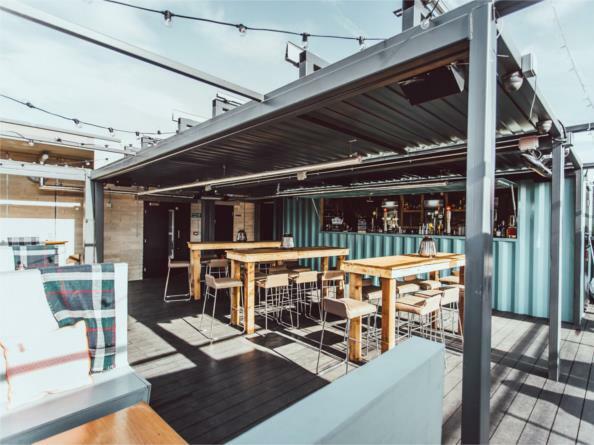 With a host of weekly live music events and an inspired cocktail menu, join them for a rooftop experience truly unique to Sheffield. Plus, 241 Classic Cocktails every Thursday between 4-8pm. The nearest railway station is Sheffield, which is 2 miles away.